Underside of nozzle is rounded and walls are convex. Narrow handle with two grooves extends to base-groove. 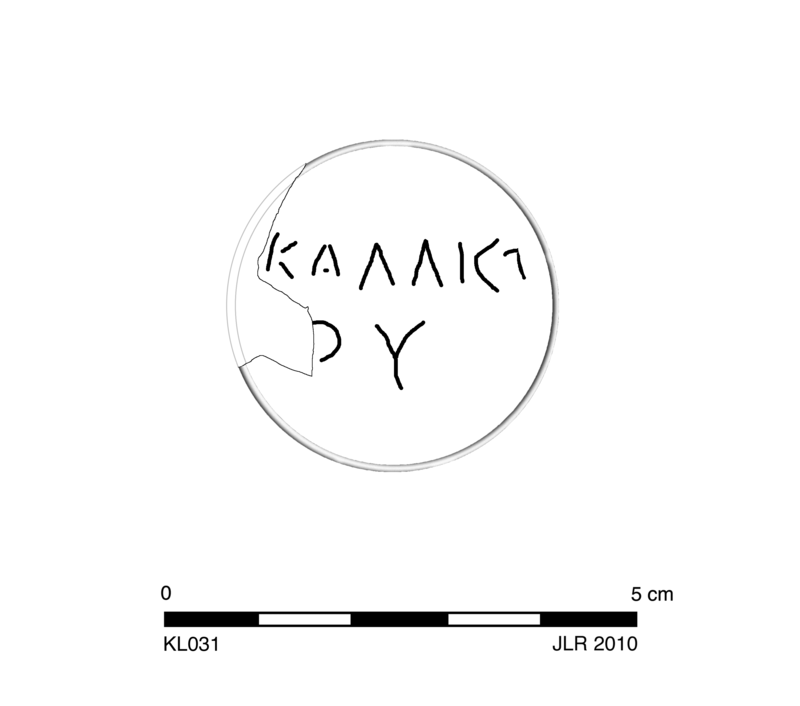 Circular, flat, plain base has single circular groove around incuse signature: ΚΑΛΛΙϹΤ|ΟΥ. 5YR 7/6, reddish yellow. 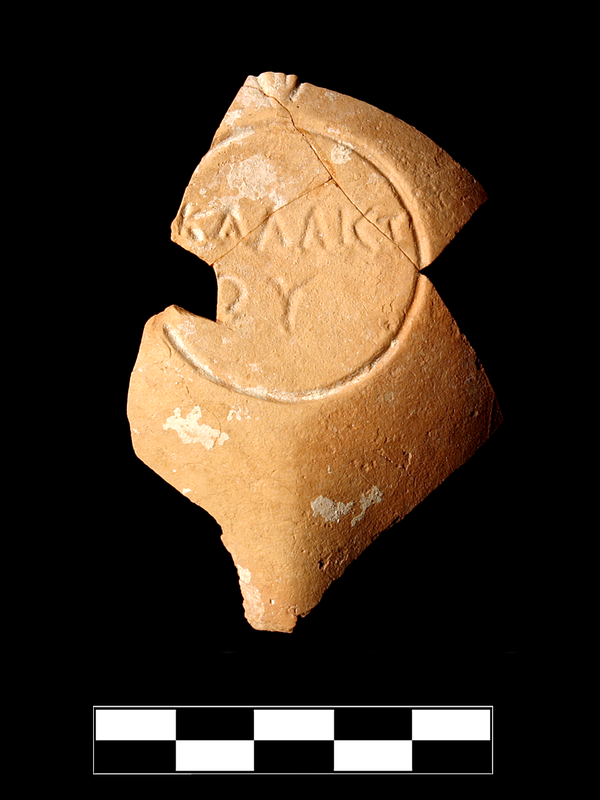 Early/Middle Roman Corinthian lamp fabric: slightly reddish, grainy, soft. Three joining fragments preserve almost all base and over one half of front wall. Slight, sparse abrasion and pitting; very sparse specks of encrustation.